What a rotten guest, but then again, that was to be expected. Ahead of his visit to Britain, there was some indignation that US President Donald Trump should even be visiting in the first place. Protesters were readying their assortment of paraphernalia in anticipation. Walls of noise were promised. Trump, on the other hand, was bullish after his NATO performance, which did a good deal to stir and unsettle partners and leaders. On leaving Brussels, his singular account was that all partners had, in fact, agreed to a marked rise in defence spending. 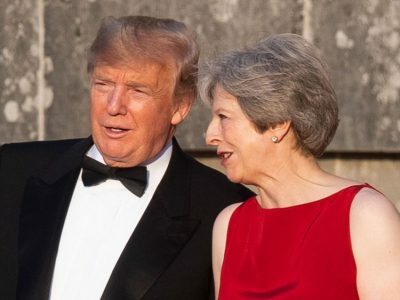 Having settled into dinner with British Prime Minister Theresa May at Blenheim Palace, Oxfordshire, there was a whirring buzz that the president had been busy, having given an interview to that infamous rag of reaction The Sun newspaper. It was spectacularly poor form, featuring a series of pot shots against his host on how she had handled Brexit negotiations so far. Not that May’s handling has been brilliantly smooth. Characterised by Tory saboteurs, confusion and ill-expertise, the British tangle with the European Union has persisted with barnacle tenacity. This did not inspire confidence from Trump, and the Chequers agreement that May had reached with cabinet members was deemed “very unfortunate”. For the president, a Brexit softened and defanged to keep it bound up in some form in the EU could well spell an end to a separate, post-separation trade pact with the United States. The sting was greater for the fact that May was using the dinner to pitch her case for a separate trade arrangement. Any free trade agreement between the countries, she asserted, would create “jobs and growth here is in the UK and right across the United States.” Bureaucracy would be defeated in the transatlantic venture. Trump, as he tends to, was operating on a different frequency, claiming that he, brilliant chap that he is, had the formula for how May might best get a workable Brexit through. If only the prime minister had listened instead of chasing her own flight of fancy. May was not the only British politician rostered for a tongue lashing. London Mayor Sadiq Khan, who reached some prominence criticising Trump’s election promise to temporarily suspend Muslim immigration to the United States, also came in for special mention. Reflecting on the problems facing European cities as a result, he told The Sun that London had “a mayor who has done a terrible job in London. He has done a terrible job.” The mayor had blotted his copybook by doing “a very terrible job on terrorism” and, just for good measure, crime in general. Not content at leaving it at that, Trump revealed that childish vulnerability typical in unstoppable, and encouraged egomaniacs. This had undoubtedly been spurred on by Khan’s refusal to ban the flying of a 20ft blimp depicting Trump as an indignant, orange infant, nappy and all. Perhaps the most striking delusion that runs so deeply through the Brexit pathology is the idea the Britannia’s flag will again fly high, and that power shall, mysteriously, be reclaimed by a nation made anew. Other powers will heed that; respect shall be observed. What Presidents Obama and Trump have shown from different sides of the coin is that such hopes might be terribly misplaced.